UBISOFT is among the top 5 video game publishers in the world and is a satisfied ColorLogic user taking advantage of the full software suite including ColorAnt, CoPrA, and ZePrA. As one of the world’s superior color management technology software providers, ColorLogic GmbH is a leader in providing technology and innovation for advertising agencies, prepress houses, offset, gravure, packaging, digital, large-format and multicolor printers in the color management arena. Utilizing industry knowledge, extensive product offerings and advanced technological capabilities, ColorLogic GmbH develops solutions for customers worldwide. ColorLogic’s products include ColorAnt, CoPrA and ZePrA, which provide an unparalleled range of color management technology with a high level of automation options possibilities. 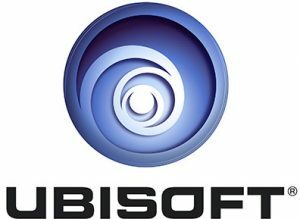 UBISOFT, founded in 1986 in France, is a leading creator, publisher and distributor of interactive entertainment and services, with a rich portfolio of world-renowned brands. The teams throughout UBISOFT’s worldwide network of studios and business offices are committed to delivering original and memorable gaming experiences across all popular platforms.